Nothing. Days mean nothing when every day is an opportunity to get pips! Today, we’re looking at not one, but TWO Aussie pairs. Check it! 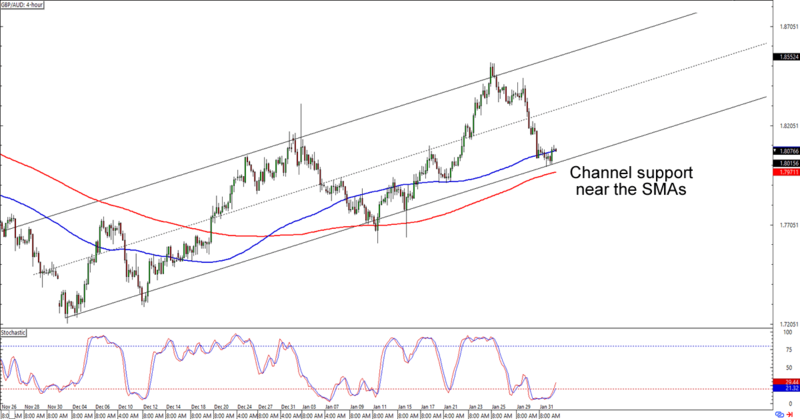 GBP/AUD looks like it just bounced from the 1.8000 handle, which isn’t surprising since it’s near the 100 SMA AND the ascending channel support that hasn’t been broken since late November. With stochastic chillin’ like a villain in the oversold territory, you can bet that at least some bulls are already on this one. Think the pound will extend its uptrend against the Aussie? A long trade at current levels would still give you a good reward-to-risk ratio especially if you aim for the previous highs near 1.8550. If you’re more of an Aussie fan, though, then you could also wait for the pair to break its uptrend before you place your short trades. Trend-trading not your thing? Here’s a range play for ya! 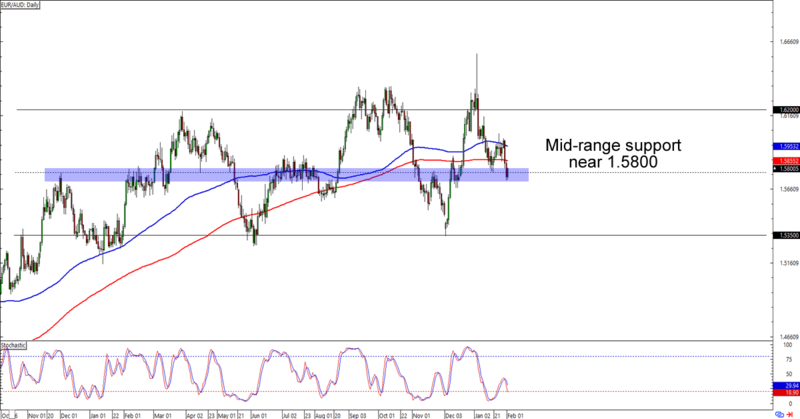 EUR/AUD is having trouble making new lows below the 1.5800 major psychological level that happens to line up with the mid-range support on the daily time frame. Buying at the earliest signs of bullish momentum is a good idea since the range’s resistance is all the way at 1.6200. Think this consolidation is actually signaling soon-to-be losses for the euro? It’s aight, you can also short the pair as soon as it drops from 1.5800 and aim for the range support near 1.5350 as a first target. Whichever bias you choose to trade, make sure you’re practicing good risk management habits!